The lentil is a powerhouse. Full of nutrition , flavor, health benefits and taste. Plus, they are one of the easiest of the legumes to use because they do not need a lot of soaking like other dried beans. 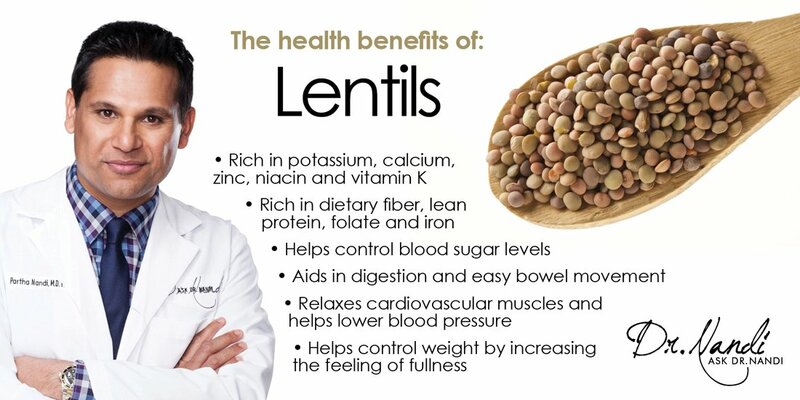 The lentil bean is full of potassium, calcium, zinc, niacin and vitamin K, but are particularly rich in dietary fiber, lean protein, folate and iron. 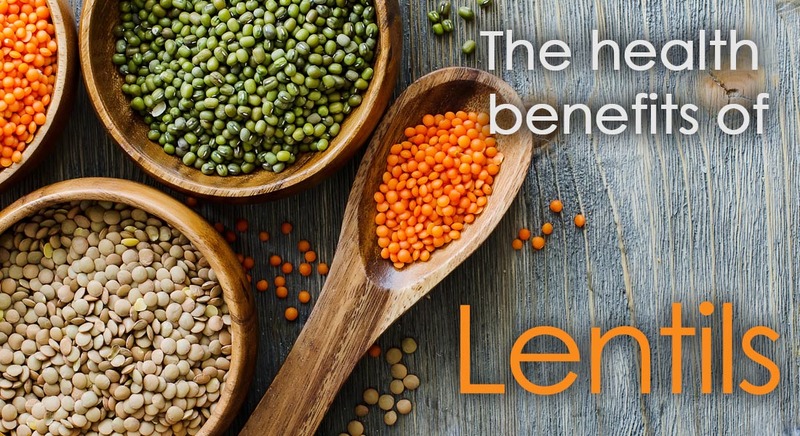 The Centers for Disease Control and Prevention reports that eating plenty of nutrient-dense foods like lentils can lessen your risk of many serious medical problems. Studies have shown that the dietary fiber found in lentils helps in controlling blood sugar levels. Dietary fiber slows down the rate at which food is absorbed by the blood and thus maintains the sugar level constantly. The dietary fiber has also been shown to aid in digestion.Lentils have the ability to aid in easy bowel movement, resulting in less constipation. Research has suggested that lentils are an ideal source of protein without adding any extra fat to the body, thereby promoting a healthy heart. Not only do they have little fat, they also contain magnesium, which helps in relaxing cardiovascular muscles and helping to lower blood pressure. The protein has been found in studies that suggests that the regular consumption of lentils can help in weight control and increase the feeling of fullness. Vitamin B3, has been shown to boost the digestive and nervous systems. Vitamin B3 can speed up the metabolism and offers many other benefits, including cholesterol control, a decreased risk of diseases like Alzheimer’s disease, cataracts, osteoarthritis, and diabetes. 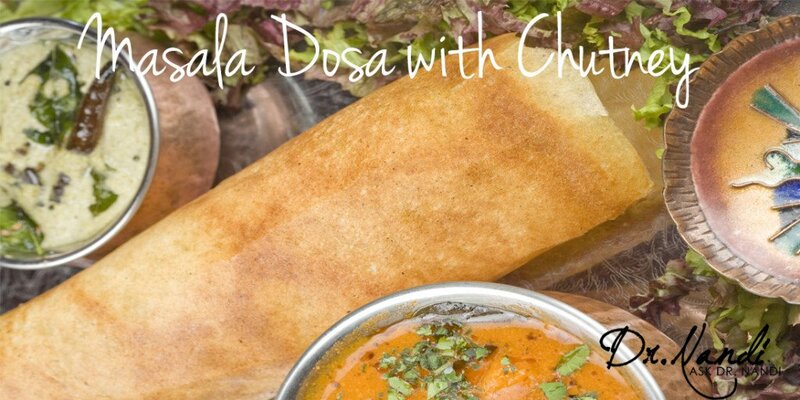 Lentils are full of potassium which is thought of as a better substitute for electrolytic activity than sodium. We all know the dangers of a diet too high in sodium content and a low potassium content in the body. Potassium is helpful for the functioning of a number of organs like the heart, brain, and kidney as well as an integral part of electrolyte activity.